A very helpful and much needed guide. Thanks Bestfriends! I agree completely with this suggestion, would be nice to see if this actually happened. What are the most beautiful / impressive attacks? 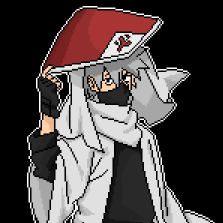 Is Pokemon Platinum Be implemented in PokeMMO? Yes, it is said that the next region being planned for the game will be sinnoh. It’ll take a while but it will happen eventually, just be patient. I hate it when people smack their godamn lips while eating. It’s literally one of my top 3 pet peeves. There is something more lucrative than farm Heart Scales? You could try selling Pokémon and useful items on the gtl since they’re also good ways of earning money. Is there any way to breed a shiny and get a shiny?